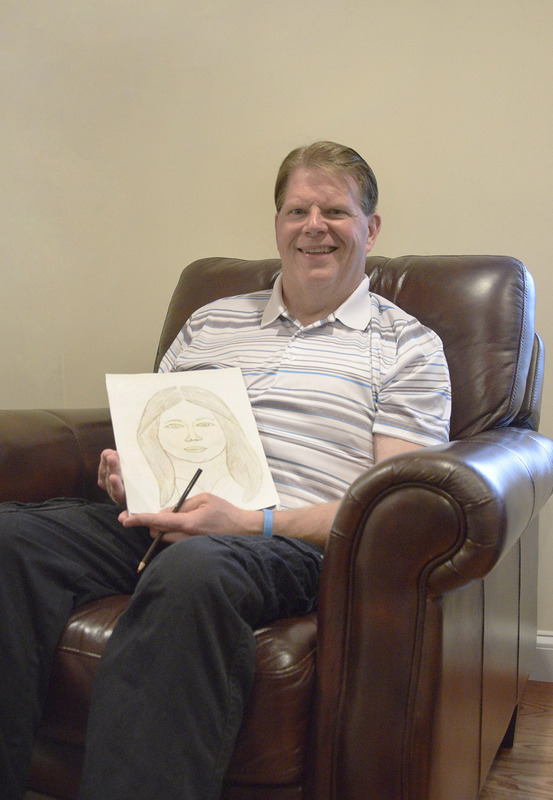 "I lost consciousness in the helicopter and I remember thinking I was dead, and that this was the end…then nothing,” Jim has no memory of his time in the hospital during his stroke, but came out the other side dedicated to fight his way back. And fight he did! About the Brains At Risk Victim Impact Panel Brains At Risk is an awareness and prevention program that was developed over twenty-five years ago by the Brain Injury Association of Massachusetts (BIA-MA). Brains at Risk links dangerous driving behaviors to the devastating effects of traumatic brain injury (TBI). The curriculum combines video, graphics and group discussions to demonstrate the importance of choices made behind the wheel. The most impactful part of Brains At Risk is when the attendees get to hear the personal stories of those whose lives have been permanently affected by an impaired or reckless driver or underage drinking. Download and print the Brains At Risk Referral form using the link below. Fill out and fax the completed form to 508-475-0039 or email it to brainsatrisk@biama.org. Within two weeks, Brains at Risk will process your referral. A letter will be sent to you with the date, time, and location of your seminar. We will notify the appropriate agency of program completion or failure within five days of the scheduled seminar. A $50 money order payable to BIA-MA. This is required in order to participate in the Brains At Risk program. No cash or personal checks will be accepted. Money orders are issued by banks, convenience stores and grocery stores. If you arrive late for any reason, you will not be allowed to attend. BIA-MA reserves the right to deny entry and/or to remove you from the seminar without a refund if these or any other guidelines not listed are not met. If you have any questions or concerns call the Brains At Risk Office Monday through Friday 9:00am - 4:00pm at 508-475-0036. Please leave a detailed message including your first name, last name, and date of birth. Please do not call the location hosting the program, as they will not give out information or directions. If you are unable to attend on the date and location assigned to you, accommodations will be considered based on availability if notified before 21 days of your scheduled date. If not, a $65.00 rescheduling fee will be imposed in addition to the seminar fee. Send a money order for $65.00 (payable to BIA-MA) to BIA-MA, 30 Lyman Street, Suite 10, Westborough, MA 01581. For more information, please contact brainsatrisk@biama.org or call 508-475-0036 Monday-Friday between 9:00am - 4:00pm.